TO LIVE IN PEACE WITHOUT ANY THREAT TO IT WILL BE A WONDERFUL FEELING OF FREEDOM & JOY. We are pleased to see you demonstrating for your rights, which is a timely reminder to your authorities that they are in their positions to serve you the people. The number of good hearted souls amongst them are few and far between, and that is why far reaching changes have to take place. If your representatives are not keeping to their oath, then they can have no complaint when they are removed. The problem is that corruption and greed spreads like a cancer and before long is accepted as a normal way of working. In the future you will become more involved in the decision making, and consulted before action is taken. Clearly you need the right type of people leading the way forward, who have the foresight and understanding to take you into the New Age. The last cabal would be totally unsuitable, and will be unable to interfere or influence what will happen. Your Spiritual Age is about to begin and your progress will be astonishing and very quick. Imagine how wonderful it will be to be able to trust all of those around you, because you know that they are ascended Beings like yourself. The Love and Light will have permeated everywhere, and there will be no doubting that you have arrived in the higher dimensions. Life will be a big contrast to what you have now, and will be of no comparison. To live in peace without any threat to it will be a wonderful feeling of freedom and joy. The problems of health and the challenge of mere existence that beset you in the third dimension, will no longer be a factor in your lives. It is difficult to convey the absolute feeling of happiness and contentment, which has to be experienced to be appreciated. The mind set of those who have opposed your evolution and aimed to prevent Ascension, is focused on self power because they lack the understanding of Oneness, and therefore love for their fellow man. However, they still have their Godspark even if has become very dim, but one day it will light up again. They have the same opportunities to be of the Light as every other soul, and God will welcome them home like every other one. You all started out together, but as you decided your own path of experience some were engulfed by the lower vibrations and fell by the wayside. There will always be a way back into the Light, but the lower you fall the harder the journey. However, as with any soul there are always many willing volunteers who will guide them homewards. Everyone of you without exception has higher Beings in close attendance who guide your life for you. 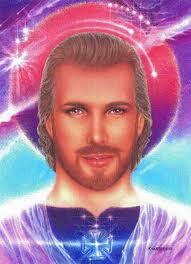 In the future we of the Galactic Federation of Light will work with the ascended souls, until you become our equals. You will then become very independent and decide your own future, but that does not mean that we will lose contact with you. We will literally only be a thought away at anytime, and that applies to any soul that you have links with. Indeed, as we have previously indicated you are likely to join with those of a similar level of consciousness. Your experiences are unlimited, even moving from one Universe to another to extend them into new areas. On Earth you are obviously much more restricted, and with your lower level of consciousness have lost touch with your Higher Self. In consequence the truth of your real self becomes clouded by the illusion of 3rd. dimensional life. You are about to witness the real beginning of the end as the old system falls into chaos. No attempts to restore it will work as it is destined to complete its time in its present dimension. It has well served its purpose where you and Mother Earth are concerned, and the new paradigm is moving into place. You will not miss the final outcome as the changes are so far reaching everyone will be affected. All souls will achieve what they desire and most have already exercised their freewill choice. It is the reason we ask that you do not attempt to override another soul’s decision, but allow them to be satisfied that it has been made with their future in mind. The fact is you cannot move higher than your vibrations allow, and clearly that would be the level at which you would feel most comfortable. We are as ready as we will ever be to play our part in ensuring your experience of Ascension. Our involvement will soon be apparent, and you will already know that we have been keeping the peace on Earth. That is with reference to our actions to prevent present troubles escalating into another world war. We are eager to become more involved and help ensure that our allies are able to bring matters to a head. The Presidential elections in the US are a key focal point that will determine when we exercise our divine authority to bring about beneficial governmental changes. Much hinges on the outcome and it will be a victory for the Light. From hereon each week that passes should reveal where matters are heading, and there will be the fulfillment of events that are necessary to bring peace to your world. As you would imagine, nothing happens that we are not aware of even if it is out of our sight. We know the true intent of the different nations regardless of what they say to the outer world. They are in fact divided into those who encourage war, and those who now seek peace even if their history suggests otherwise. What is happening is that the Light upon Earth is transmuting the lower vibrations, and whole nations are waking up to the truth. There is a powerful move to unite within those countries that desire peace, and a wish to disassociate themselves from those who do not. The warmongers are gradually becoming isolated, and without support their plans are doomed to failure. I am SaLuSa from Sirius, and see that the various peace movements are reaching more people than ever before. It is the blooming of people power that will bring about the desired results. It is also boosted by the continual input of higher energies from outside of your Earth. As we have often said, you have already won the battle with the dark Ones, and it only remains to clear up the remains of their activities to go speeding on with Ascension. That Dear Ones is well in hand as you will see before very long. Filed under: Ascension, Elections, Full Consciousness, Galactic Messages, Mike Qunisey, SaLuSa |	Comments Off on TO LIVE IN PEACE WITHOUT ANY THREAT TO IT WILL BE A WONDERFUL FEELING OF FREEDOM & JOY.